Autism is a developmental disorder that affects communication and interaction skills. Children with Autism often have specific dietary needs, medications and therapy in order to provide the autistic child with tools to help him or her overcome the challenges faced every day. Therapy is a huge part of helping children with Autism. Aquatic therapy for Autism, in particular, has been very helpful to many autistic children. Everyone at Pool Troopers is a strong believer in the many benefits of swimming for everyone. Our Pool Watcher program is an initiative to prevent child drownings. 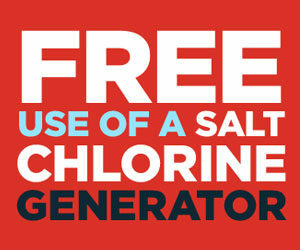 We invite you to make the swim safe promise. Drowning is a serious danger to all children, not just those with Autism. However, many children on the autism spectrum are fascinated by water. This can be both good and bad. This may motivate the child to participate in Aquatic Therapy and spending time with family. It is important though, especially with Autistic children, to never leave children unsupervised with access to water. The opposite side of that is that an Autistic child is likely to be afraid of the water. In either case, Aquatic Therapy can be a monumental help to the child. Teaching an Autistic child how to swim may save their life one day, in addition to the developmental benefits. Sensory Swim, is a company who specializes in swimming lessons for autistic and other disabled children. Sensory Swim provided a case study of just how Aquatic Therapy saved one boy’s life. BJ is a four-year-old autistic boy. BJ was both non-verbal and a charger, a boy who kept walking regardless of the danger. While being cared for by a relative, he wandered away and went missing for several hours. Sensory Swim’s instructor had seen BJ walk into a pool and just keep walking regardless of how deep the water was. The instructor would pick him up, put him back in the shallow end, and the walk would begin again. The swim teacher’s goal was to teach BJ to monkey crawl or hang onto the edge of the pool and go from one end to the other. BJ learned to do this in only three lessons. When BJ’s mom brought him in for his fourth lesson, she was in tears, telling them how BJ had walked away and into a pool a mile away. He was finally found hanging to the side of the pool. The EMTs said that based on BJ’s core temperature, he had been hanging to the side of the pool for hours. He had learned a skill that saved his life. Every child with Autism Spectrum Disorder (ASD) is uniquely challenged. Why will a treatment plan work really well for one child and not for another? That’s still a mystery. At some point, there may be a solution to the ASD mystery. Until that day arrives, parents, doctors and specialists try various treatments, hoping to see improvement in some of the symptoms. Swimming won’t help every autistic child, but the potential benefits far outweigh any drawbacks. Learning to swim is a valuable skill for all children that could save their lives one day. This is especially true for a child who may not be able to call for assistance and must depend solely on their own ability to survive in the water until help arrives. Water can’t be avoided. A child who is afraid of learning to swim will still be unavoidably confronted with water on a daily basis. Daily life includes showers, face and hair washing, rainy days and accidental spills. Learning to handle total immersion in a large pool or body of water can make it easier to successfully deal with water in other forms. Water provides resistance to muscles and improves the child’s range of motion and balance. Water therapy is a lot more fun for a kid than a therapist’s office. There may be a lot of resistance to going to a class in the beginning, but more often than not, kids learn to love it. At swim instructions, the instructor may or may not want the parent at poolside, but you must always be nearby and your kid’s cheerleader. Every large goal (swim the length of the pool) is comprised of many smaller goals (face in the water, breathing, moving the arms and legs, floating, etc.). Pool owners can continue to practice these skills at home and have a great time together. Swimmers, even if they’re part of a team, are alone in the water. There’s no pressure to talk to anyone. Interactions with other swimmers tend to be brief. The instructor should be aware of the child’s needs and act accordingly and appropriately. The lack of pressure to communicate can make it easier for the child to chat with others. Children with ASD often have problems with sensory integration disorders. Water is well known for the calming effect it has had for people over the ages. Aquatic therapies may make use of water’s calming effect when dealing with sensory issues. Some autistic kids have difficulty with oral motor skills. They may struggle to blow out the candles on their birthday cake or find it difficult to sip through a straw. Water therapy activities such as blowing a ball across the water’s surface or simply blowing bubbles help develop better oral motor skills. Learning how to swim is a major milestone for all kids. For a kid who struggles with so much on a daily basis, learning to swim will be a major boost to self-esteem and confidence. Autistic children tend to find many sports difficult. A swim team, however, offers unique benefits. The child is able to focus on their own race. They don’t have to try to watch everything else going on around them. They aren’t waiting for someone to pass them the ball. All they have to do is swim their own race as well as they can. The Autism Spectrum Disorder Foundation is so convinced of the benefits of aquatic therapy that they provide direct scholarship money to parents who cannot afford to pay for swim lessons for their child. It can be difficult to find trained and experienced swim instructors for autistic children. Experts strongly recommend one-on-one instruction. A group class isn’t normally suitable for a special needs child. The United States Swim School Association trains instructors to teach children with unique abilities to swim. Look for a swim school that belongs to this association. The National Autism Association provides a list of YMCAs that provide Special Needs Swim Instructions. 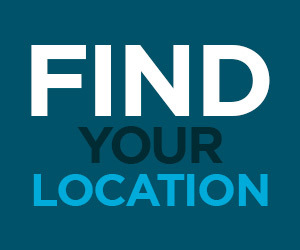 There are many locations in Florida, including several in Tampa Bay. SafeSplash Swim School is nationwide. In Florida, they are located in Ft. Myers, Naples and Sarasota. Elmer Swim School offers locations for our Texas customers. Check out their Dallas locations and their Houston locations. For our customers in Arizona we recommend Hubbard Family Swim School located in Phoenix. Ask around. Your Pool Troopers tech, your local pool company or an occupational therapist might know about someone who’d be perfect to teach your child to swim. Most kids are capable of more than people think they can do. Given a chance, their success can be astonishing and so very rewarding. Some kids take to the water right away while others don’t. Do your best to have fun and relax. Don’t put a kid’s face into the water before they’re ready. This can be so frightening for any child that learning to swim will become far more difficult. Speak very clearly and calmly when giving directions. This is especially important for kids who are very literal-minded. As is true with learning any skill, a lot of repetition is needed. Michael Phelps clocked countless hours and miles in the pool before becoming the world’s best swimmer. If you’re teaching your child to swim, consult a pro about which water skills should be taught and in which order. Develop a plan and do your best to stick with it. Don’t rush it, though. Switching from one activity to another will be confusing. Celebrate every success, large or small. Each victory is important. Allow time for free play. Having fun in the water can become a fun, relaxing activity to be enjoyed as both a kid and adult. Since 1952, Pool Troopers has been all about families, our own and yours. We’ve heard many heartwarming stories from our customers over the years. Today, it would be hard to find anyone who hasn’t been touched by autism in one way or another. Swimming has helped many autistic children become more confident as they learn a valuable life-saving skill. Caring for a child with Autism can be very time consuming. 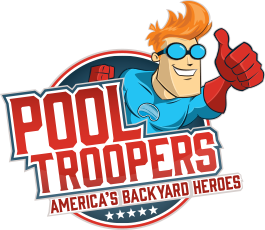 At Pool Troopers, we want you to enjoy your pool, and save you valuable time. We pride ourselves on our professionalism and integrity. Let us save you time with one of our service packages. Best of all, there are no contracts, ever. To learn more, leave us a message or call our Customer Service Team at 1-866-766-5877.